Thank you to all who ordered and picked up bees on Saturday, 4/20. All proceeds go towards sponsorships for our educational programs in high needs schools! Our bees come from Orland, CA. They are local Californian Italians and Carniolans, bred using techniques developed by UC Davis. They are specifically bred for hygiene, health, gentleness and productivity. Perfect for a backyard hive! Pick up dates are in April 2019. If you order bees before then, you will get information on where and when to pick up your bees. 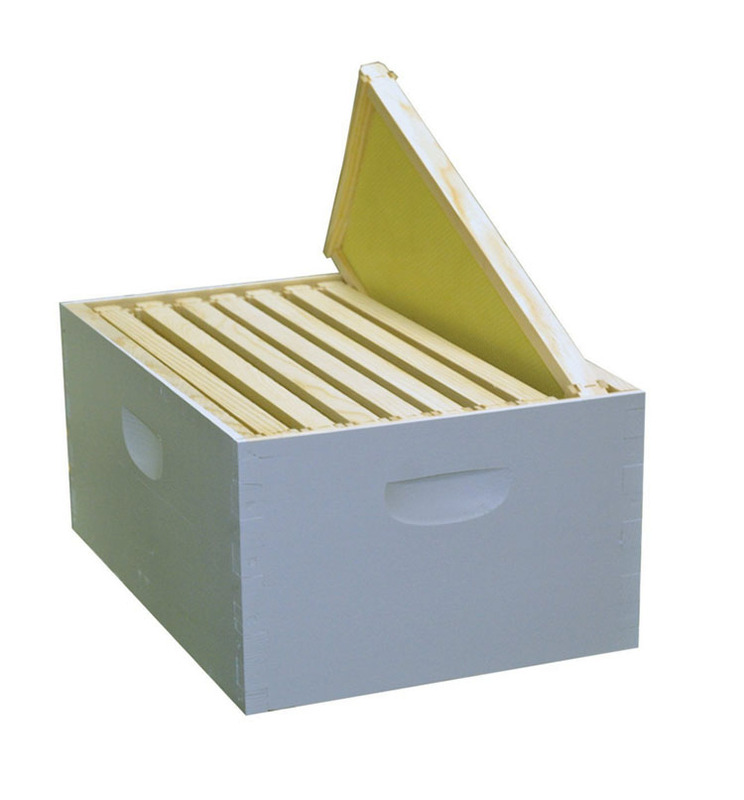 A wooden brood box with 10 deep wooden frames, fully assembled and painted white. Two deep wooden hive bodies with 10 deep frames. Two wooden supers with 10 shallow frames. Telescoping cover and inner cover, bottom board and reducer. Simple, all wood 10-frame brood box. Comes fully assembled and painted. All wood, completely assembled and painted 10-frame honey supers.